As I wrote on yesterday’s post, installing a 180-ton reactor head at the Davis-Besse plant in Ohio is no small feat for the power company that owns the plant and for the NRC, which is monitoring and verifying the safety of the installation. First, NRC inspectors are reviewing the calculations necessary to make sure that a 180-ton reactor head can be moved safely to the reactor building, that the cranes are qualified to bear this tonnage and that the floor in the area of containment where the head will stand before being placed on the reactor vessel can withstand such weight. To get the old head out and the new head into containment, a hole will be cut in the containment and shield buildings after all the fuel is removed from the reactor. NRC inspectors will be observing major steps of this operation to make sure that structural and safety issues are properly handled. A runway system and transfer cart will be installed through this opening and cranes positioned to transfer the heads. NRC inspectors will monitor the actual transport of the old head out and the new head into containment. NRC inspectors will review radiological controls to make sure workers and the public are safe as the old head is transported from containment to a special storage facility on plant property. They will verify that appropriate security measures are taken throughout the entire process. Inspectors will verify that the shield building, which is designed to protect the containment building against potentially damaging flying debris, is properly restored. In addition, they will closely monitor post-installation tests to verify that the plant can operate safely when it is returned to service. 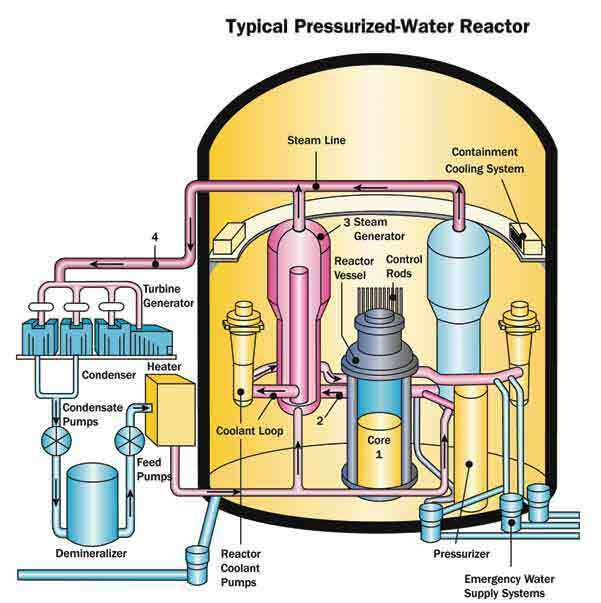 The coolant system will be tested for leaks; the control rod drive mechanisms will be tested to make sure they can drop into the core to shut down the reactor within a specified amount of time; a pressure test will be performed to verify the containment building does not leak and x-rays taken to test the welds that close the opening. Inspectors will verify that the shield building, which is designed to protect the containment building against external hazards, is properly restored so it can perform this function after the opening is closed. After NRC inspectors are satisfied that the reactor can be returned to service safely and the plant resumes operations, the reactor vessel will be subject to the NRC head inspection regime in place. The NRC will continue to review inspection results to ensure the continued safe operation of the Davis-Besse plant. Next Next post: How Long Will the NRC Keep North Anna Shut Down?